Dean and Jessica have kicked Matthew back to Portland and they are finally back to work on The Hawkins Report. 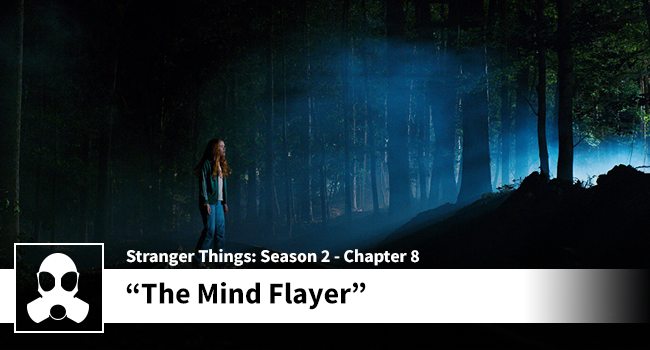 Jessica and Dean were both relieved to see that Stranger Things is back to form with “The Mind Flayer”, and Dean totally forgets that “The Lost Sister” happened because he opens his commentary by saying, “We pick right up where we left off…” Um, no we didn’t Dean – there was a whole episode in between. For obvious reasons Bob shines in this episode, but Jessica makes a great point by highlighting that it is hard to care about characters that are introduced in the second season. Additionally, Bob is “the other guy” and despite this we still come to love as much as “the guy” in Hopper. Another stand-out and emotional episode. Thanks to everyone who turned up in the live chat. We will see you for the finale soon! This entry was posted in Stranger Things Podcast. Bookmark the permalink.